Today we are happy to announce the release of Icingabeat v1.0! Beats are lightweight data shippers. They are based on libbeat and written in Go. You install a Beat on your server to collect various data and forward it either to Logstash or directly to Elasticsearch. For example, there is Filebeat to read log files, Metricbeat to fetch metrics from operating systems or Packetbeat to inspect network packets. 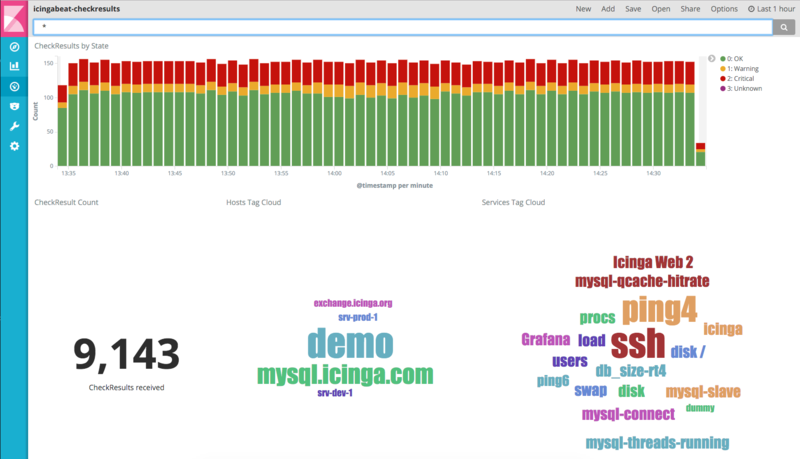 Icingabeat collects data from the Icinga API. It can open a stream to receive events and simultaneously poll the current status of Icinga 2 periodically.